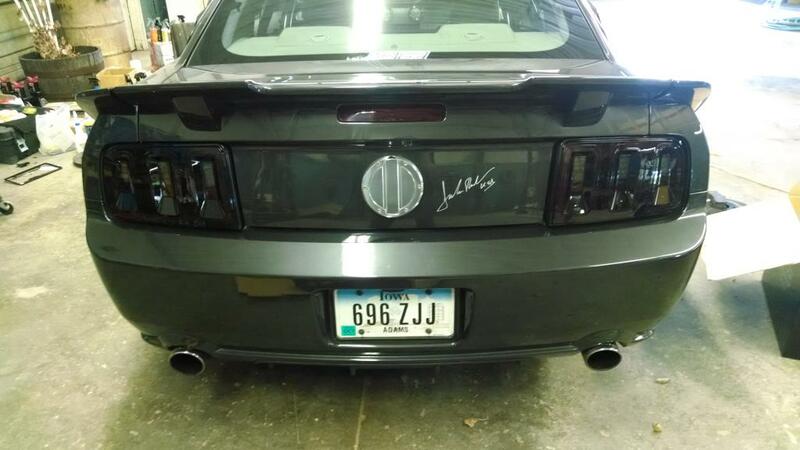 Thought some of you Alloy owners might like to see what these new style Raxiom Smoked Tail Lights look like on our Alloy Grey Mustangs. I think they look GREAT! The smoked lenses blend well with the Alloy color I think. They are LED and are very bright when lit and include the sequential turn signal that we all love so well. Completely plug and play into the standard factory tail light connector. They whole install took less than 30 minutes, including unpacking and reviewing the single sheet install instructions.....piece of cake for even the those with the most limited mechanical skills. These are shop photos...so disregard the bland location...it's more about getting a look at the lights and who they look with the Alloy. Including a link to the tail lights from American Muscle. Yes, they are a bit pricey...but by now I'm thinking they were one of the better mods I've done to my 07 Alloy.....getting LOTS of great compliments on them. Last edited by Sabre; 7/7/14 at 12:53 PM. Sabre-Looking Good! 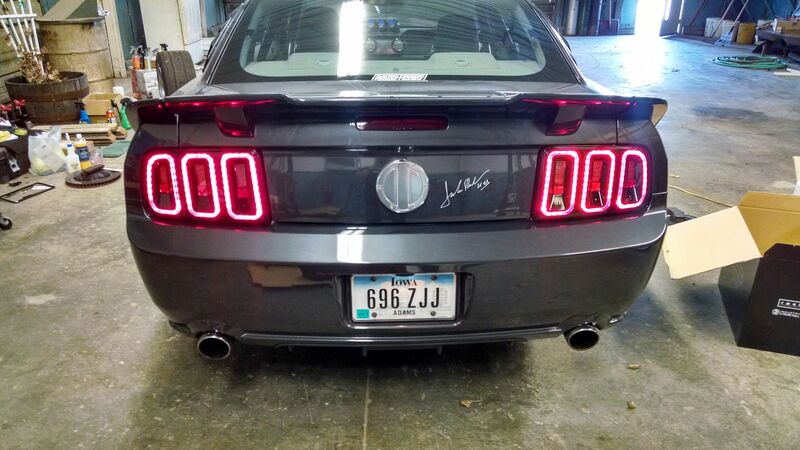 Raxiom's Gen5 Tail Lights look right at home on your Mustang! I'd love to see a shot of how they look at dusk if you can throw one up here! Let me know if you have any questions in the meantime and enjoy!